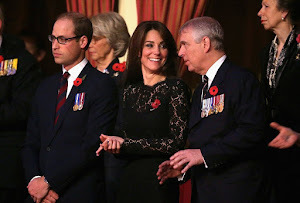 Queen Elizabeth and Prince Philip, Catherine, Duchess of Cambridge and Prince William, Duke of Cambridge, Sophie, Countess of Wessex and Prince Edward, Earl of Wessex, Princess Anne and Prince Andrew, Duke of York, Princess Alexandra in the Royal Box the Royal Albert Hall for the Annual Festival of Remembrance on November 7, 2015 in London, England. 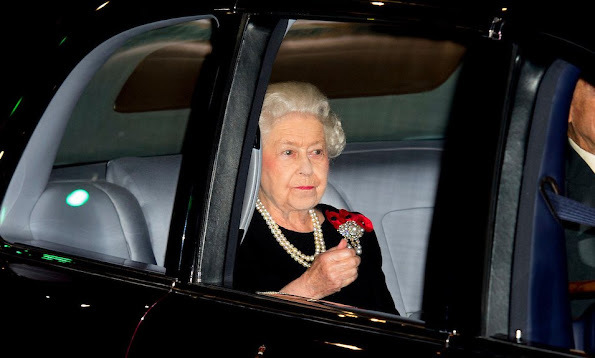 HM is regal and very beautiful! Princess Anne and Countess Sophie is regal looking. LAZY, pamperina shopper middleton has awful hair and is wearing ma carole dress, who manage to always look frumpy, ordinary in delicate beautiful Lace - wow. Wow aren't you nasty. Your preception is skewed. Take an objective look at the pictures and you will see that Kate was elegantly, beautifully and appropriately dressed for the occasion. I truly hope you choke on your venom. To hate someone so much, you must be a viper. Just a question, what has Kate done so good to deserve such respect? She spent 10 years chasing after a prince and never worked a day in her life. Even her patronages hardly get a look at but as soon as there is a film premiere or sports event, she is immediately there debuting her new dress or hair-do. Although Anonymous 02.55 may sound nasty, other royals women have contributed to society way more than her and you hardly hear of it. Princess Anne, who is a born royal, does hundreds of charity visits and work. Do we hear about that? No! 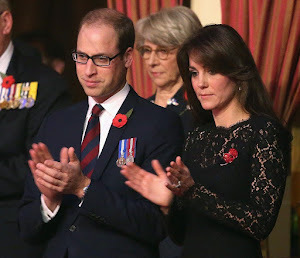 Kate is no more special than Princess Anne, so what's so special about her? I personally love Princess Anne, so you make a good point about her not being recognized for her hard work as much as she should. Anon 15:56, keep on speaking the truth. The Kate Apologists hate when you point out the facts about their precious Middle Class Duchess. We hear more about Kate because the media are more interested in her than Anne. The media are more interested in Kate because their READERS are more interested in Kate than Anne. Kate is not in any way responsible for what you see as unfair coverage of Anne. Think about this logically (if you can). And Kate will be a queen consort one day. Coming from common background (we all are considered such if not royal 'blueblood'), should be that she serve and work harder for her fellow common people, but she do not; seem snobbish than blood royals (middletons are known to climb into wealthy titled aristo) considering. Princess Anne Countess Sophie the other Princesses are much more valuable to HM but middletons has a lot to be desired and lacking. Your Royal Highness, the Duchess of Cambridge, look elegant, young, vibrant and beautiful. 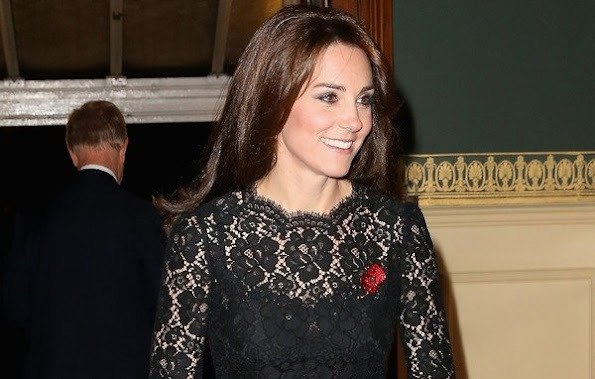 The Duchess of Cambridge is an asset to the Royal House of Windsor. And I wonder if Maxima and Victoria are spending their days posting . No I have a suspicion it's Letizia. Such vile comments Anon 02:55. Your disdain is seen over and over again regarding Kate. This post is about the BRF and Kate is of course the lead topic. Why don't you scroll past these posts? I assume you are the same person who bashes Kate on every single post even when it has nothing to do with the BRF or Kate. If you don't like the Duchess of Cambride,DON;T LOOK ON THIS POST. Man you really hate her. What need does hating someone you really know nothing about fulfill in you? 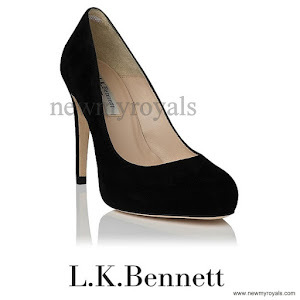 Is it only Kate who shops? Why doesn't Mary shop for her designer clothes or any other royal for that matter? Anon 2:55. I am so sick of your rude comments towards the Duchess of Cambridge. She looks lovely and appropriate. I know some people do not think stay at home mom's are working and have a valuable position in society. I happen to think it is one of the most important jobs in the world. Who do you want to raise your children? Someone you hardly know or the actual mother of the child? The queen seems to be very happy with Kate. Doesn't that speak volumes? Please stop hating on Kate. Please, for once I'd like to see Katherine with professionally applied makeup. Her eye makeup is always so black/dark and too strong and it seems like it was done by a 16-years-old schoolgirl! Something more softer, barely there, that would accentuate her eyes would look so much better and natural. But right now her makeup simply ages her by years. Also it bring back to the memory of Diana. But its kinda sick that you want to resemble your M-I-L.
She has two lace Dolce and Gabana dresses. Only two. She only has two from that designer. Two that aren't done in the same colour. Anonymous 12h02: Je suis tellement d'accord avec vous, Kate est lumineuse et heureuse. This was the Festival of Remembrance not the fashion show. So I don't want to comment about dresses. It is sad there are so many individuals who are jealous of Catherine. They are entitled to their own opinions, but no their own facts. There's no reason or excuse to hate Catherine. She has never put a foot wrong. She's a loving wife and mother and she follows the beat of her own drum. Catherine and Victoria need to go to a good hair salon. This blog is turning into something undesirable and the majority would not want it like this. This is only a FASHION blog so nothing here will make a difference to anyone's world . There should be no need to make such nasty comments or the continuous comparing to others, either you like what someone wears or you may think it needs a little tweak to make it more to your liking or a different color, shape of hat and should not be if you like the person that is wearing it. Who cares if someone is lazy or wears an extra coat nothing of that is going to change our lives. Please let this be a blog that we can all enjoy and can discuss fashion good and the bad without all the negativity and constant comparing and trying to put others down by making others appear saintly. Trolls are all over the internet, and post on this blog. They have no interest in posting actual facts - and really are not interested in following the RFs of Europe. Sadly, they simply want to argue and post ugly comments. You would think they have better things to do with their time. Nice to see Kate smiling and looking happy. She has beautiful hair, but I wish she would get her hair cut, and styled in a shorter style. I think it would be much more flattering and it wouldn't drag her face down.